The NeoVictoria Project Simulation in Second Life®. This screen-show gives a brief overview of The NeoVictoria Project® and its live action simulation on the Second Life® platform. Membership in NeoVictoria is free. We’re honored to be included in the Official Second Life® Destination Guide! 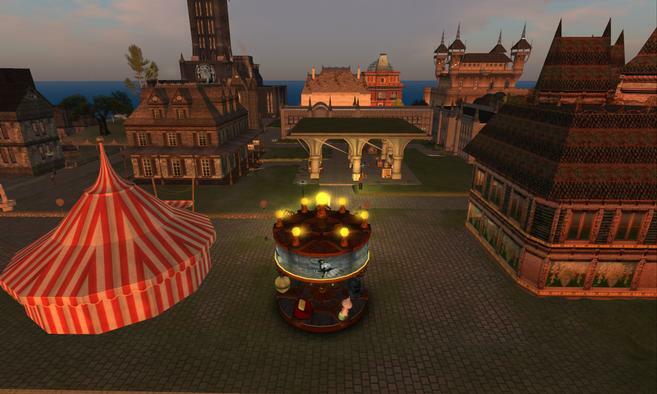 Second Life® is an online virtual world developed by Linden Lab. The Lab provides free software (called the viewer) which enables players to interact with each other through customizable avatars. Players can explore the grid, meet other users, socialize, participate in individual and group activities, and create and trade virtual property and services with one another. The NeoVictoria Project chose Second Life® for our real-time simulation because it gave us the freedom to build a unique environment, and allows us to shoot machinima. NeoVictoria is one of thousands of ‘worlds’ created by the people who use Second Life®. Of those, only a handful are picked to appear in the Second Life® Destination Guide. Here’s a link to our page. Membership in Second Life® is free! Why not create an avatar and visit? the Sidhe (fae) never faded, but worked with … some would say ruled over …their human charges until the Sidhe Empire spanned the known universe. So many races exist: faeries, demons and clockwerk constructs (powered by gears and magic), humans, vampires, werebeasts and celestials. All held against the ravages of time by magic, intrigue and human ingenuity. Faeries, demons and clockwerk constructs (powered by gears and magic), humans, vampires, werebeasts and celestials. The links below lead to pages that give a brief overview of the race which exist in the Neo’Verse. To read more about the races, join the community website and read the unabridged concordances, or wander the Visitor’s Center in-world for copies of the wearable books.